D R Alexander & Son are the main distributor for Ifor Williams Trailers in the Highlands and Islands. Established in 1982, we are a family-run business with over 30 years of experience in dealing with Ifor Williams trailers. We have premises in both Inverness and Reay, Caithness. 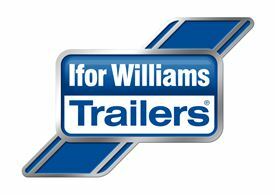 As well as the full range of Ifor Williams trailers we are able to offer a full selection of Ifor Williams spare parts and accessories for the latest to the oldest of models. We can also offer a full servicing and repair facility through our mechanics based in Inverness and Reay. In addition, we have exclusive sub-distributors who are able to provide a first-class service to Orkney and the Western Isles. There are no jobs with D R Alexander & Son at the moment. Sign up to email alerts below to get notified when new jobs are added. Get the latest jobs from D R Alexander & Son sent direct to your inbox!